PLANO, Texas — Tyler Technologies, Inc. (NYSE: TYL) announced today that it has acquired SceneDoc, Inc., a company that provides mobile-first, software-as-a-service (SaaS) field reporting for law enforcement agencies. For Tyler, the acquisition of SceneDoc reinforces Tyler as a market leader in mobile-first public safety software. The cloud-based deployment of SceneDoc also minimizes implementation costs and ensures that clients are using the latest product releases. For SceneDoc, the acquisition will help them expand their well-established field reporting software to many more law enforcement agencies across the U.S by leveraging Tyler’s client base and sales organization. Founded in 2011, SceneDoc is based in the Canadian city of Mississauga, Ontario, and employs 18 people. SceneDoc management and staff will become part of Tyler’s Public Safety Division, and its employees are expected to remain in their current locations. Kottoor and co-founder Adrian Bubalo will also join Tyler as general managers. 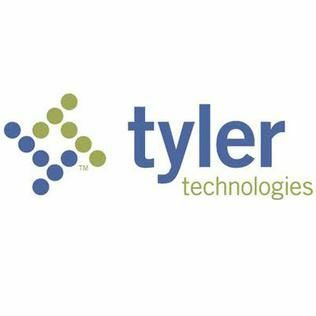 Tyler Technologies (NYSE: TYL) is a leading provider of end-to-end information management solutions and services for local governments. Tyler partners with clients to empower the public sector - cities, counties, schools and other government entities - to become more efficient, more accessible and more responsive to the needs of their constituents. Tyler's client base includes more than 15,000 local government offices in all 50 states, Canada, the Caribbean, Australia, and other international locations. In 2017, Forbes ranked Tyler on its "Most Innovative Growth Companies" list, and Fortune included Tyler on its "100 Fastest-Growing Companies" list. More information about Tyler Technologies, headquartered in Plano, Texas, can be found at www.tylertech.com.